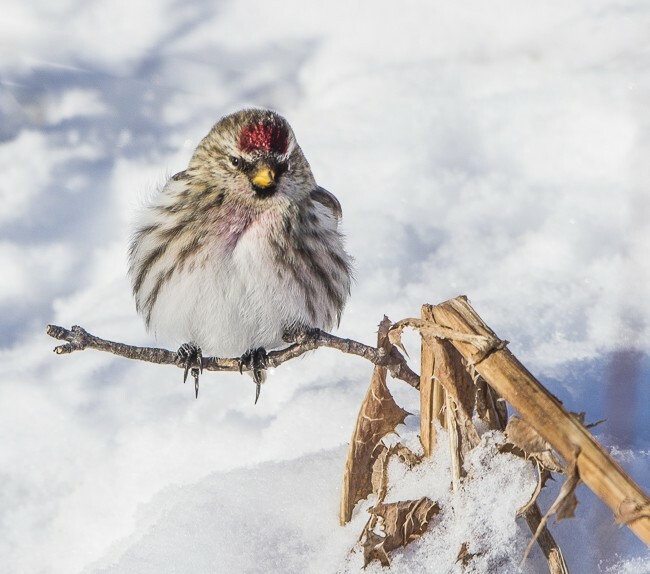 Canadian Bird photographers can enjoy their bird photography in winter as well as in the summer. 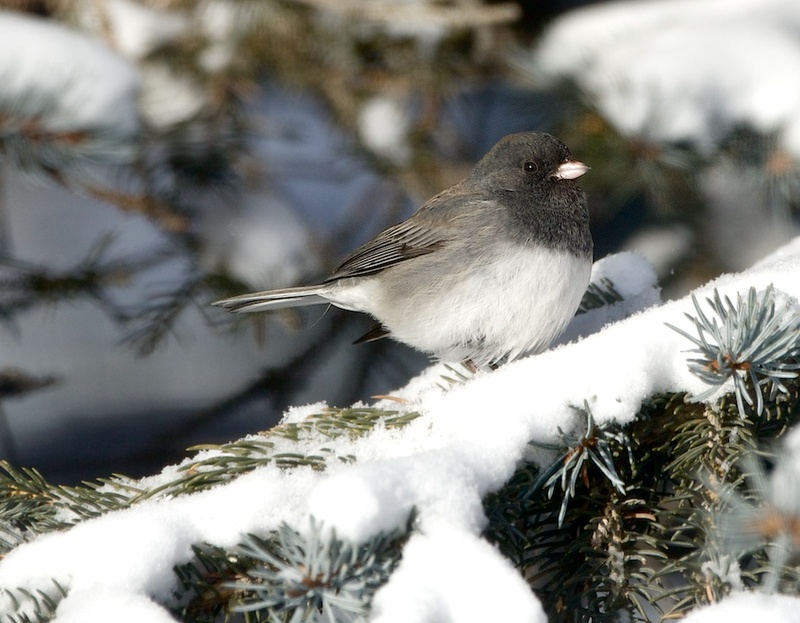 There are many species of birds found in Canada during the winter. As a matter of fact some species can only be found in the southern part of Canada in the winter, Snowy owl and the Snow Bunting for example. However, winter bird photography does present some challenges. The first challenge is the cold. How do we protect our camera equipment in the cold and stay safe? Keep your batteries in your pocket close to your body. Don't breath on the viewfinder. Buy some hand warmers and tape them to the body of the camera. If you have a 500mm or 600mm lens keep the lens and camera in a Lowepro carry bag and use your tripod as a walking stick. Wear gloves instead of mitts. Some mittens have a fold over front to expose the fingers and work similar to gloves. If you are walking, wear spikes on your boots to keep from falling or slipping. Dress warm and carry some warm liquids. If you are driving make sure you have a full tank of gas. Put snow tires on your vehicle. Make sure your battery in the car is up to the Canadian winter. Carry a cell phone for any emergencies. Keep a sleeping bag in the vehicle. Also, a small shovel and some rope is a good idea. 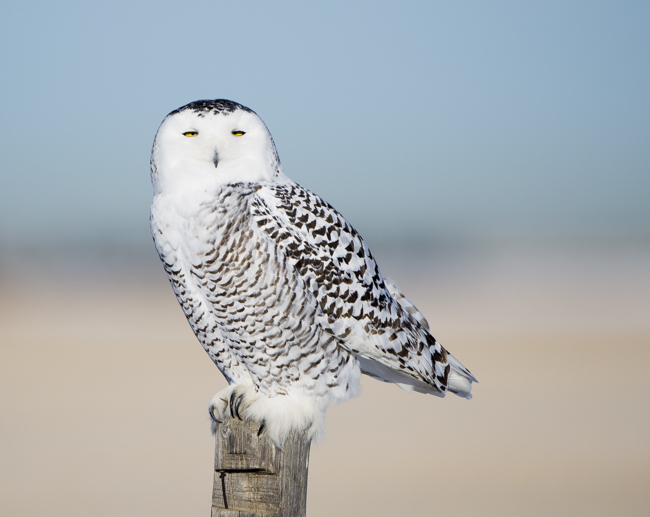 It is also a good idea to travel with a fellow bird photographer, as four eyes are better than two eyes, especially when looking for snowy owls. In the winter birds use a lot of energy to stay warm and as result they will be looking for food, so look for sources of food and you will find birds. Although winter can be cold it should not be an excuse not to photograph birds. 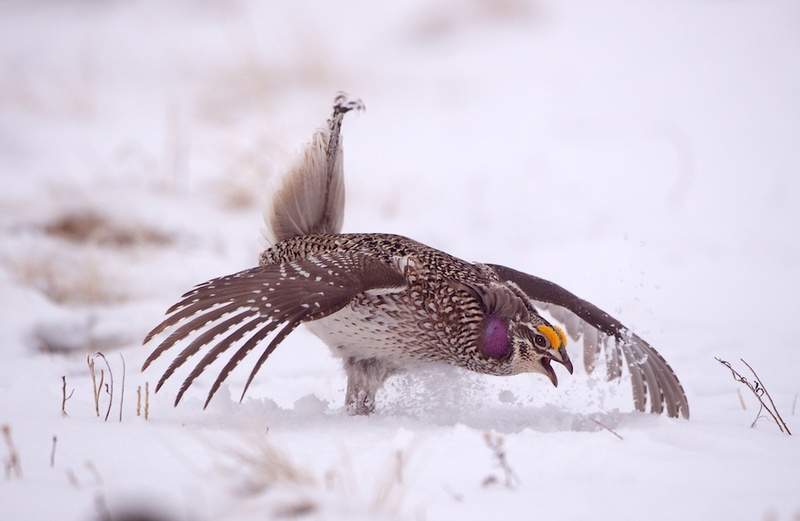 There are opportunities galore, enjoy your winter birding photography.